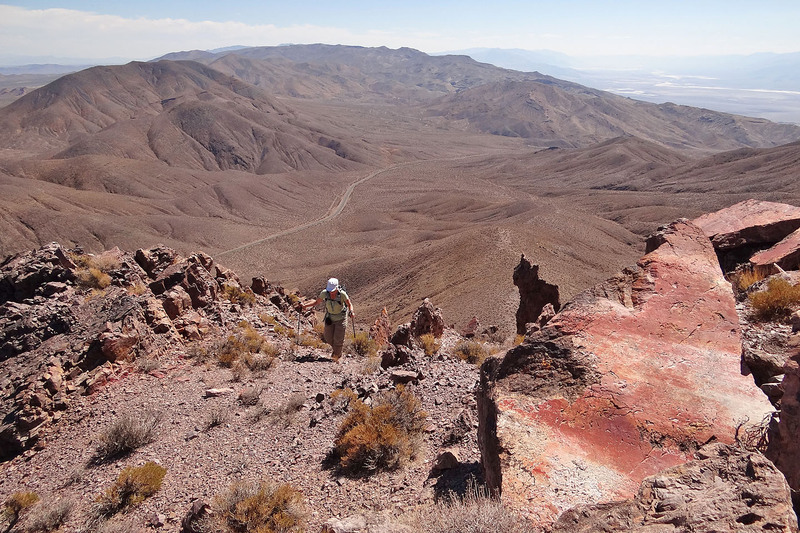 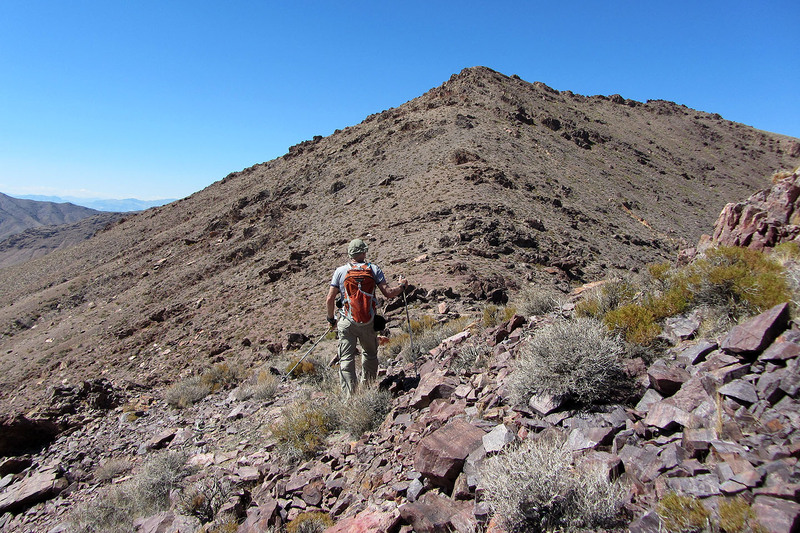 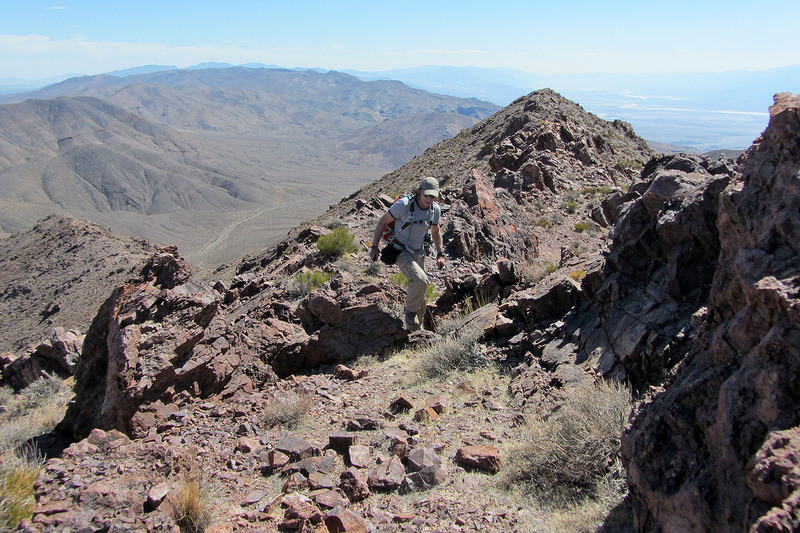 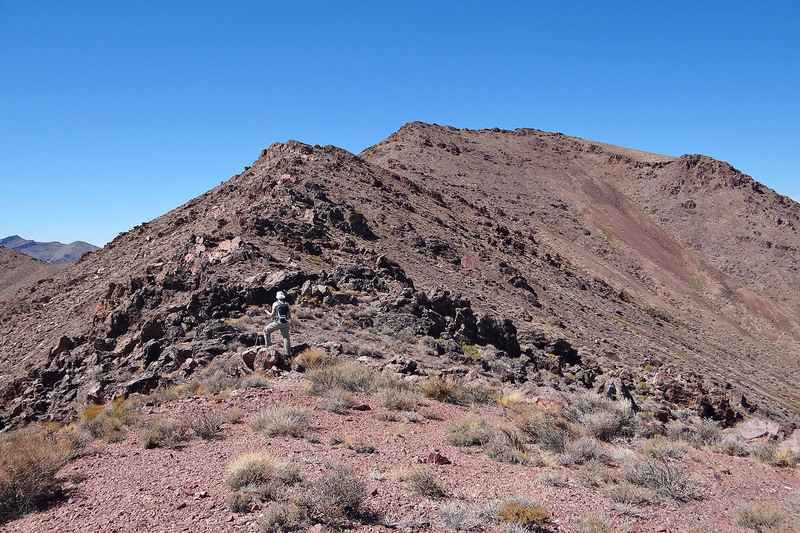 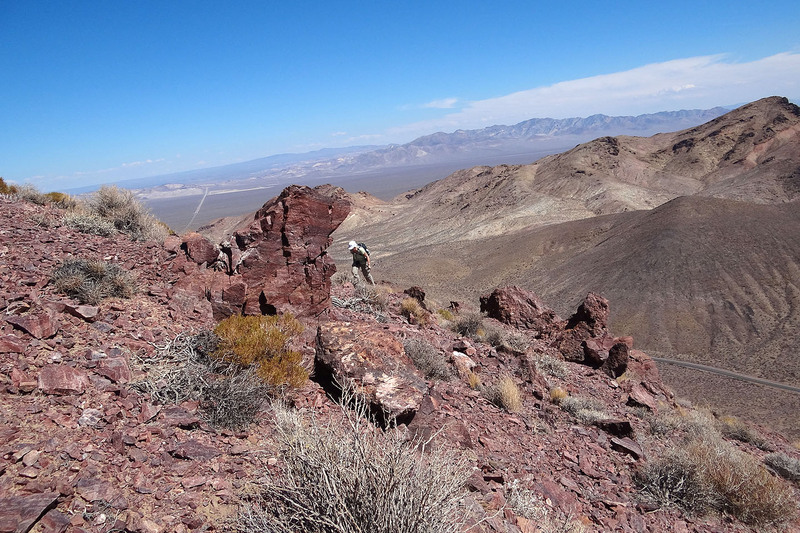 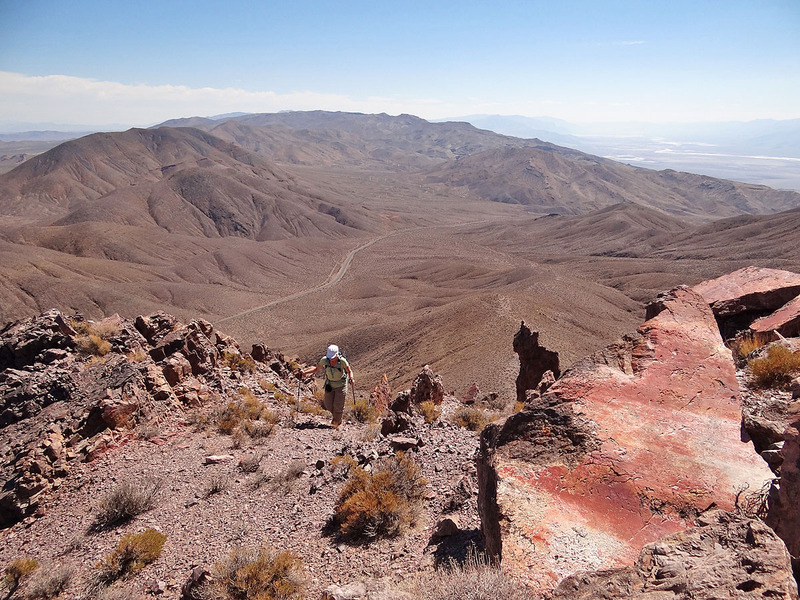 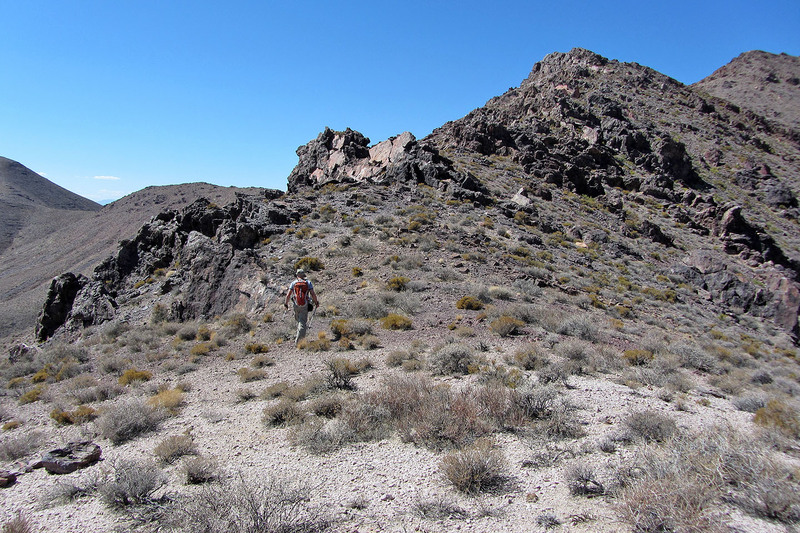 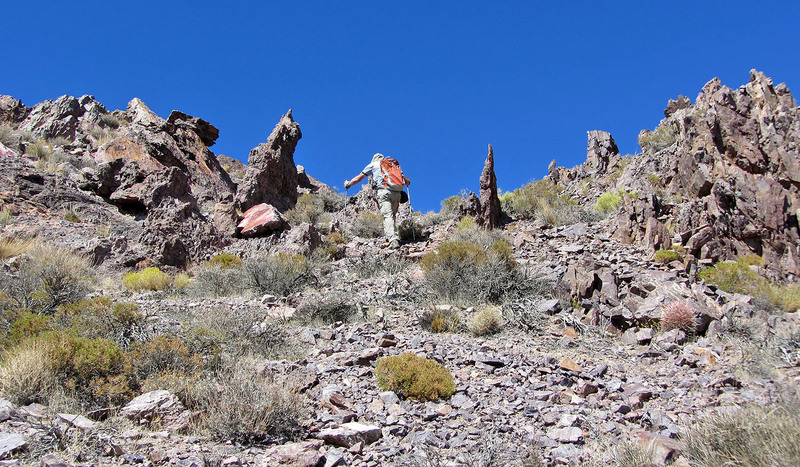 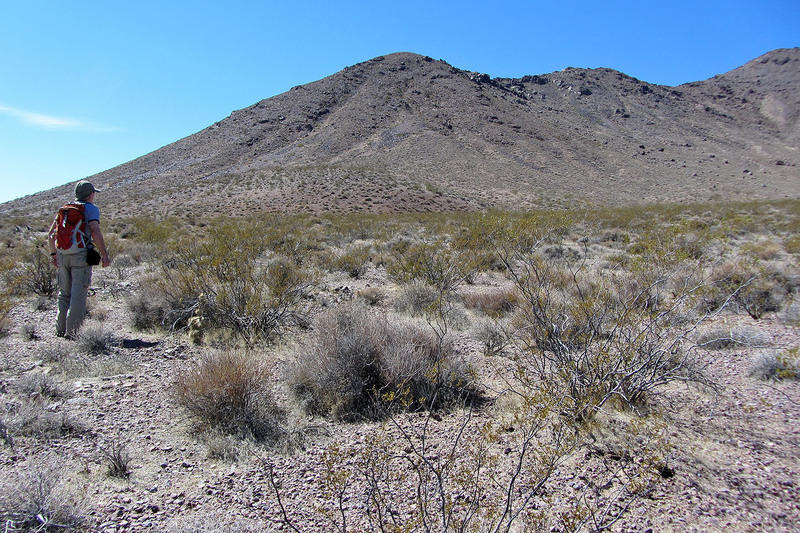 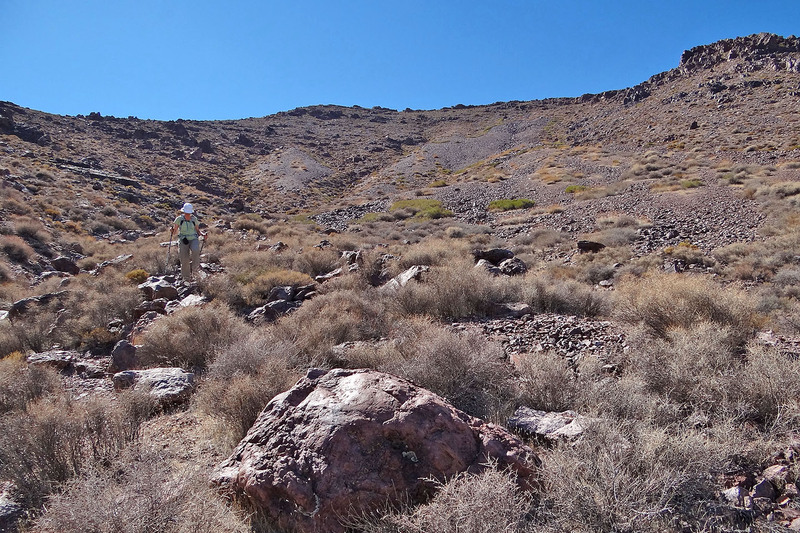 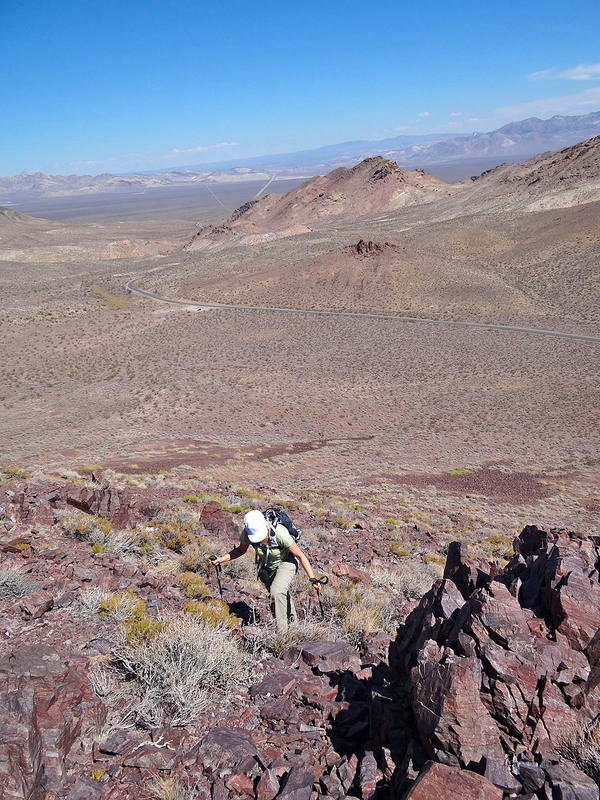 Daylight Peak is a lightweight mountain that delivers substantial views, and since it starts at 1300 m, it offers cooler temperatures than the Death Valley floor. 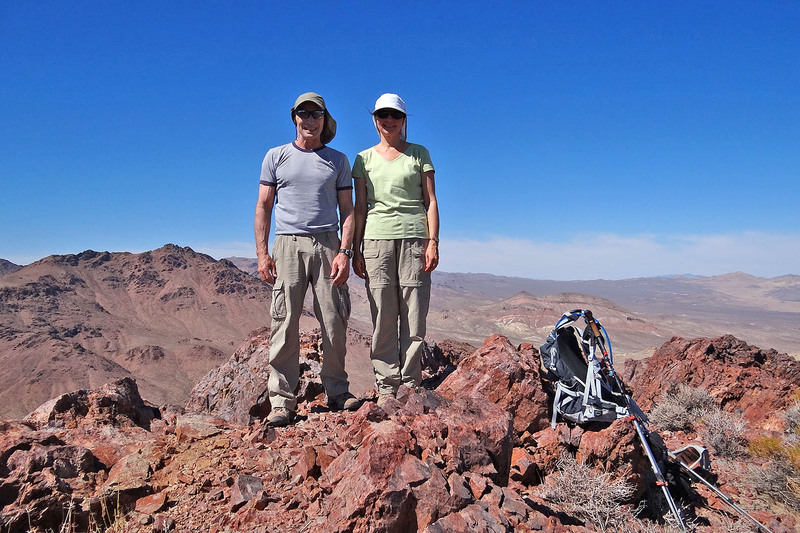 Even so, it was 32°C (89°F) when Dinah and I set off at noon. 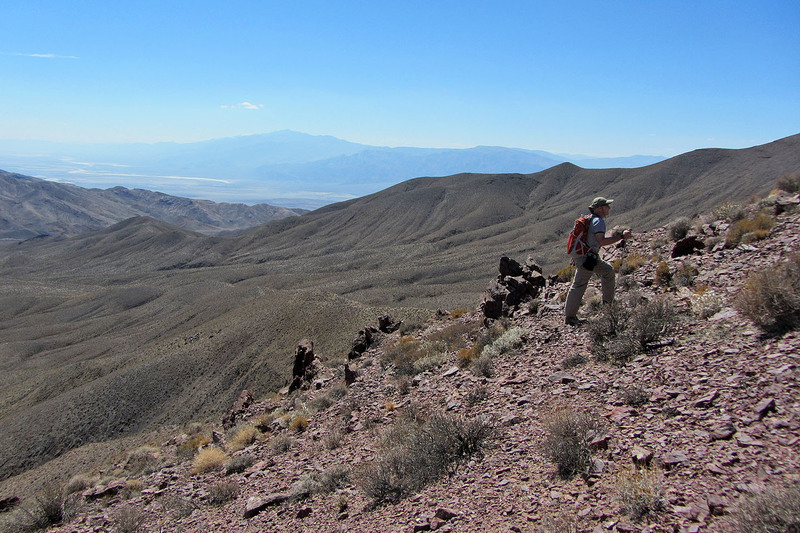 We were looking for a short climb to break up the three-hour drive from Las Vegas to Stovepipe Wells in Death Valley, and Daylight Peak fit the bill. 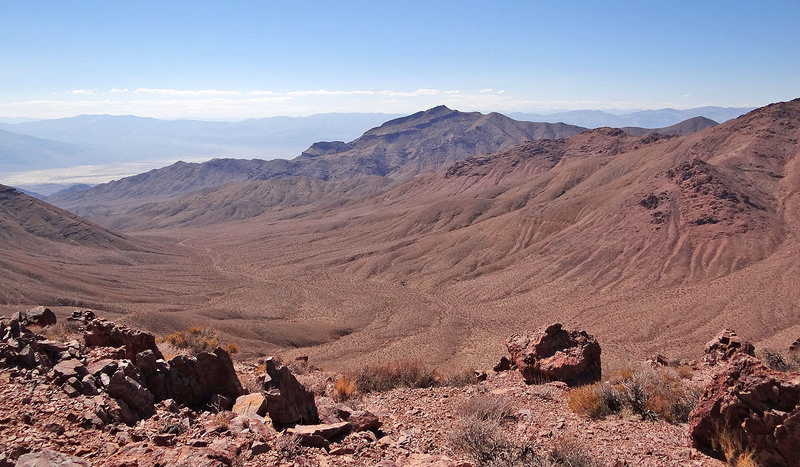 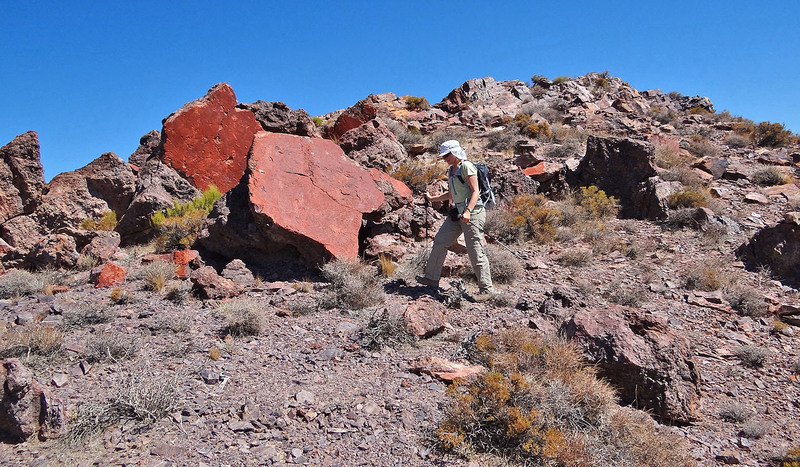 It's about a half an hour from Beatty, Nevada, which, in turn, is two hours west of Las Vegas. 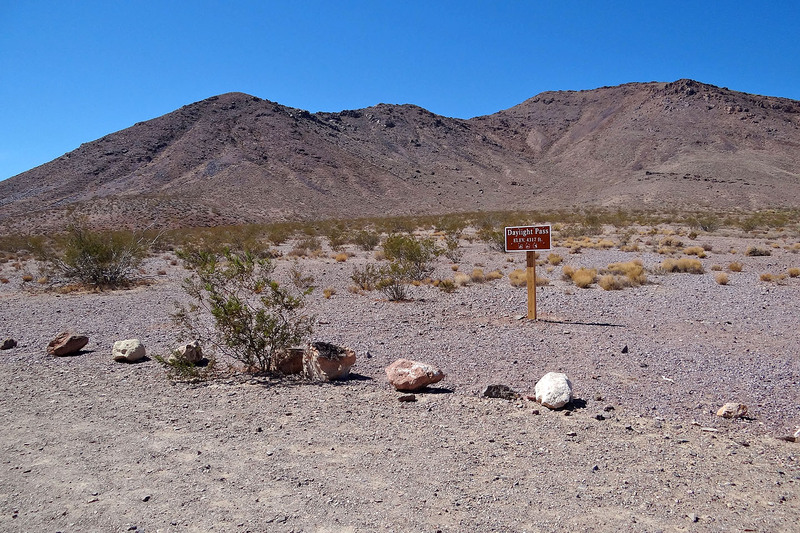 If you can find your way to Daylight Pass on Highway 374, then you should have no trouble finding your way up Daylight Peak. 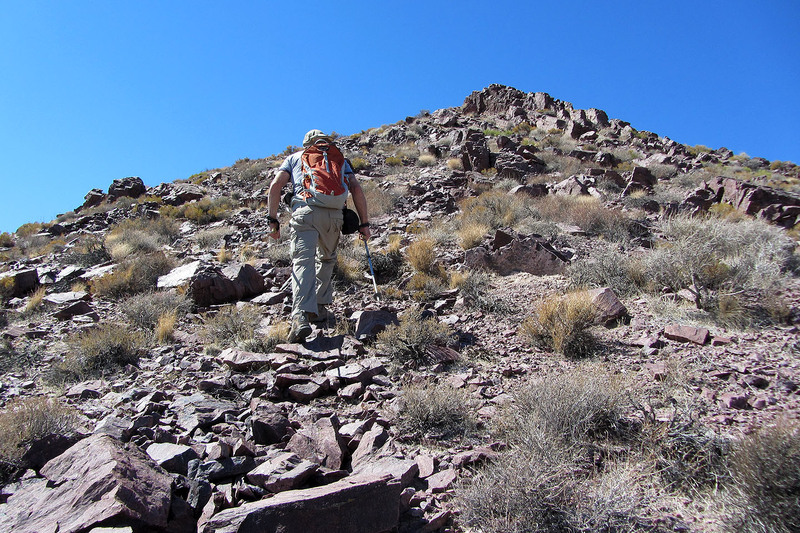 The mountain can be ascended just about anywhere from the pass, but to make the most of it, we followed the east ridge to the summit and then descended the east slopes. 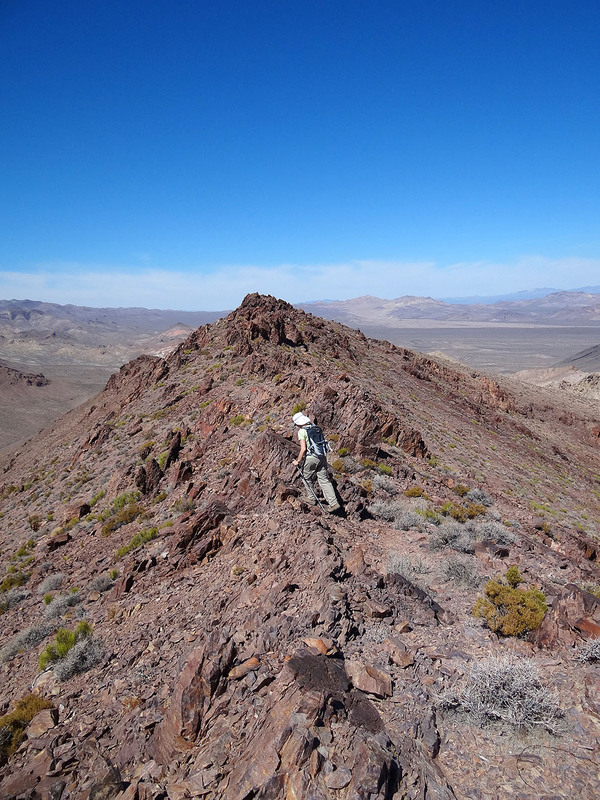 Rock outcrops along the ridge made the trip more interesting than a mere walk-up, while the Funeral Mountains to the east and the Panamint Range to the west caught our attention. 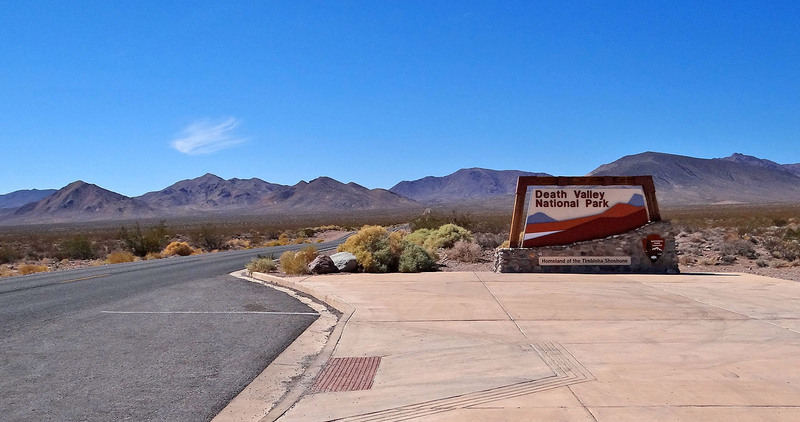 And below, of course, was central Death Valley.